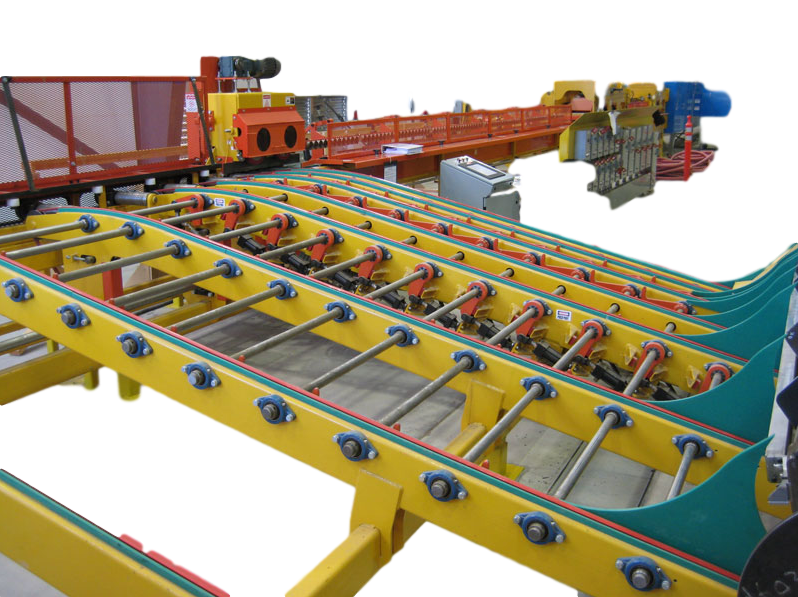 The corner feeder is a wide open design, uses overhead belts to transfer the blocks and is accompanied by a vacuum assist and belt accelerator to help accelerate the blocks down the assembly in-feed conveyor. This is the most simple and reliable corner feeder on the market today. 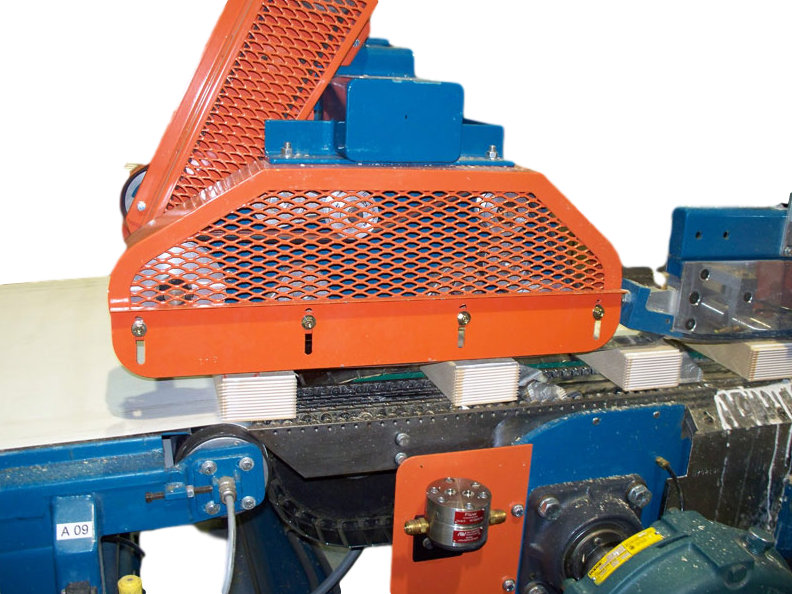 It is also retrofittable to any high production finger jointer designed by Western.